Twitter is an awesome channel for generating leads and driving in traffic to your blog or online business. Statistics show that about 42% of Twitter users follow companies and brands. Making Twitter a very great spot to run businesses, hence you must urgently begin to fully apply social media marketing strategies. If you do already have a Twitter account set up for your business, you might consider supplementing your organic efforts with some of the paid promotional opportunities that Twitter offers. Twitter Ads, like Facebook ads and other ads from social media platforms helps your tweets in front of a larger audience not limited to those who just follow you. To begin the Twitter Ads Campaign you've got two options to choose from. Either to promote your tweets or to promote your Twitter account. When you promote tweets people tend to see your tweets appearing in their Twitter stream (Like Facebook's "News Feed") and on Twitter Search results. By promoting your Twitter account, Twitter would display your account Promoting tweets will allow your tweets to appear in users’ Twitter streams or in Twitter search results, whereas promoting your account under the “Who to Follow” section in users’ homepages. The choice depends on what you want. Looking to build a larger audience, a promoted account should be your preferred choice. But if generating leads is your target then promoting your tweets would do just that. Setting up an ad campaign without first deciding who your target audience should be is the first step to failing as an advertiser. You must understand what kind of audience fits your product or the service you are giving out. Imagine showing an audience interested in Sports content based on Technology. What a waste of money. A targeted audience is more likely to generate qualified leads. How do you target rightly? You can target your campaigns by interests and followers, or by keywords (only if you’re promoting tweets, not accounts). Twitter now also has a Tailored Audiences feature, which gives you the option to target your website visitors or lists pulled from your database. Targeting by interests and followers allows you to create a list of Twitter usernames, and then target users whose interests are similar to the interests of those users’ followers. A great use of this type of targeting is compiling a small list of the top influencers in your industry. With this targeting option, you can also add a list of interest categories -- so I could say, for example, “show these tweets to people interested in Marketing, Social Media, or Lead Generation.” Again, this creates a broad audience focused on the topic of the content or products you’re promoting. Targeting by keywords allows you to reach people that search, tweet about, or engage with specific keywords. You can also choose to have your tweets appear in either users’ timelines or in search results. The benefit of this type of targeting is that it helps you define a more qualified audience, since these people are actively looking for or engaging with those specific keywords that are relevant to your offer. 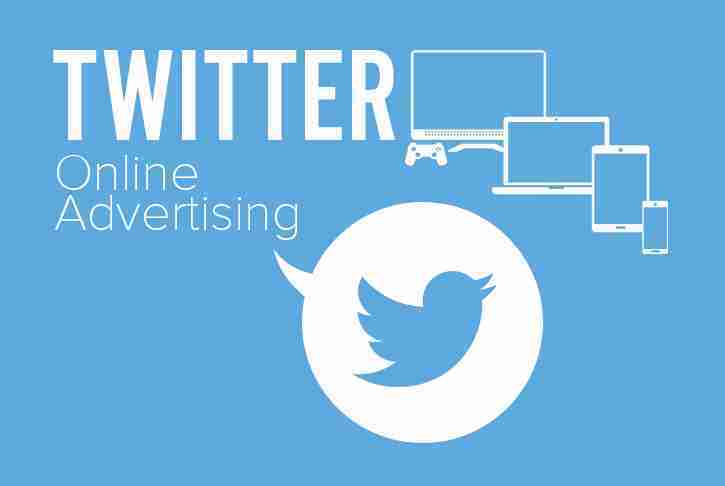 Finally, targeting Tailored Audiences allows you to run retargeting campaigns through Twitter. You'll need to work with one of Twitter's ads partners to build audiences based on pixels on your site or by matching lists from your database. This option is a bit more complicated, so I'd recommend reading up on the details here. How do I choose? Targeting by interests and followers is best if you’re looking to get in front of new audiences, or if you’re looking to focus more on brand publicity. This option will yield a larger, less qualified audience. Targeting by keywords, on the other hand, is useful if you’re looking for users with potential product interest or purchase intent. This option will give you a smaller but more qualified audience. Note: I’d recommend trying both types of targeting. Set up an A/B test where you have a campaign of each type with the same tweets, and see which performs better for you.. If you're looking to do more advanced retargeting, try Tailored Audiences. Beyond targeting certain interests and keywords, you can also choose to target your audience by location, device, and gender. To do this, you’ll have to target by location if you run a local business, or if you sell primarily to specific regions (whether that’s your city or North America). You can also select which devices you’d like your promoted tweets to be displayed on -- any combination of desktop and the various mobile devices. This is a great targeting option if your product or service caters more specifically to people on the go, or if your website visitors are most likely to convert on your offer when they’re in the office. Finally, if your product or service caters primarily to either males or females, you should take advantage of the gender targeting option. From here the work is all done. Once you’ve determined the structure of your campaigns and your target audience, go ahead and create the tweets you’d like to promote. You can either select from existing tweets in your account, or create new ones. When crafting a new tweet, click on the eye icon to select delivery type -- standard (which will promote it immediately to your followers just like an organic tweet), or promoted-only (which will only promote it through your Twitter Ads campaign). And there you have it! Simply assign your campaign a daily budget and a maximum spend limit, and set it live. Be sure to keep an eye on your campaigns as they run, and continue to optimize them for better results.